We are slowly approaching the last major event scheduled for 2013 within the New Mexico state lines and the event will definitely be one to venture out this Winter to see live. Inside the Route 66 Casino in Albuquerque, New Mexico, Fresquez Productions will host an event headlined by Holly Holm and filled with notable athletes on the undercard. The professional and amateur fight card is set for a Friday night, December 6th. One of the highly anticipated match-ups for the professional undercard features one of the most talented Mexican talents currently fighting in the area. Jackson-Winklejohn trained Gabriel “Moggly” Benitez (14-4) is well-rounded fighter who is dropping down to 145-pounds to make a big splash in a new weight class. 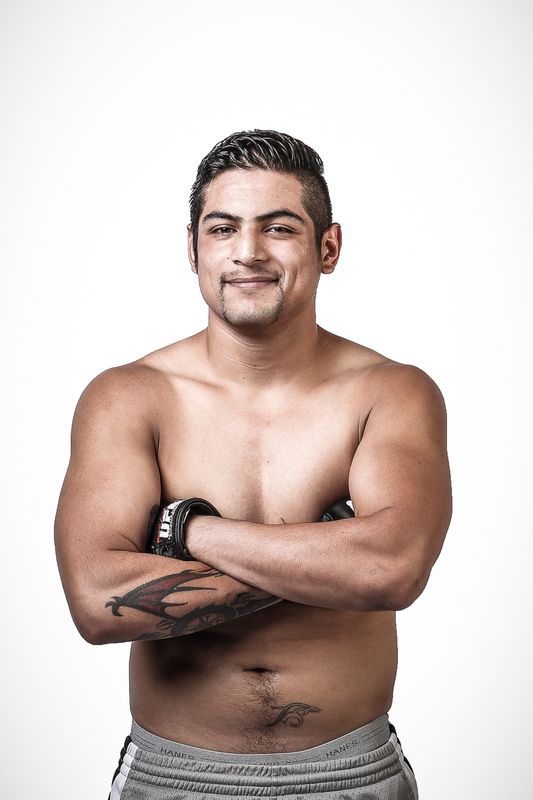 Coming from Texas to spoil the party for Benitez is Rey “The Warrior” Trujillo (14-11). Trujillo is a Legacy FC mainstay and a true veteran of the sport with over four-years and 25-fights of MMA experience. “Moggly” is considered one of the most talented Mexican prospects training in Albuquerque. He will be seeking redemption this Friday night. This fight is arguably the biggest fight of Moggly’s career as he is currently staring a two-fight losing streak in the face and a third loss would be disastrous. On the flip side, a big-time win over Trujillo puts him right back on the track towards the UFC where the top-flight promotion is currently planning a trip over to Mexico in 2014. Moggly is a very significantly named fighter in that market and the UFC is undoubtedly keeping their eyes on the slew of Mexican fighters currently training out of the Jackson-Winkeljohn camp. Moggly will come into the bout with the advantage in the striking game; Benitez uses all of his limbs to attack with his vast array of combinations. His Muay Thai-esque onslaught is filled with kicks, knees and elbows making Benitez a fighter you do not want to stand in front of for very long. He has several wins via submission as well and his top-game grappling is definitely of note. While his last loss did come via heel-hook, Benitez is very crafty on the mat and opponents often succumb to his pressure striking and end up in bad positions, defending submissions when hurt by strikes. Trujillo fights with the ideology of “go big, or go home” as over 70% of his fights have failed to reach the Judge’s scorecards and there is no argument as to what Trujillo wants to do when the cage door closes. “The Warrior” has finished ten of his fourteen career victories via knockout which includes a 24-second knockout last year where Trujillo halted Munil Adriano with a perfectly timed Superman Punch. This fight could shape up to the “Fight of the Night” as both strikers are both willing to engage in-close range. In fact, Trujillo’s last bout was against fellow Jackson-Winkeljohn fighter Leonard Garcia in a bout that saw Trujillo throw technique to the wind as he chased and lunged after Garcia with big-time strikes. I am willing to bet the finely tuned striking of Benitez will be a perfect pair to Trujillo’s big power shots in creating an exciting bout for the fans. I believe Benitez will be hungry to get on the winning track and Trujillo will be hungry to capitalize on such a big-time opportunity. Possible “X-Factors” could be the weight cut for Benitez and the elevation difference from Houston to Albuquerque for Trujillo. Benitez will be getting acclimated to the new weight while Trujillo could be effected by the thin air in our region. Tickets to Holly Holm vs. Angela Hayes can be purchased by visiting the Route 66 Casino website by clicking here. Stay tuned to SWFight for more event coverage, bout breakdowns and analysis.